Not sure about what different sizes look like? Help is at hand ! This page shows what A4 and A5 is. 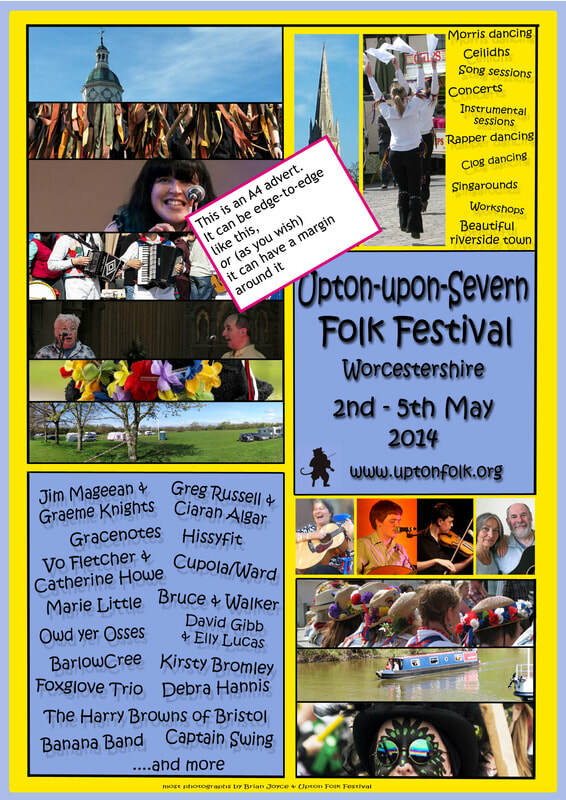 FW is an A4 magazine as are fRoots, English Dance & Song, Living Traditions. Many smaller regional folk magazines are A5. Folk Monthly is 1/2 A4 across. we have made up some examples for you. In page 1, the green background, represents 4 x 1/4 A4. 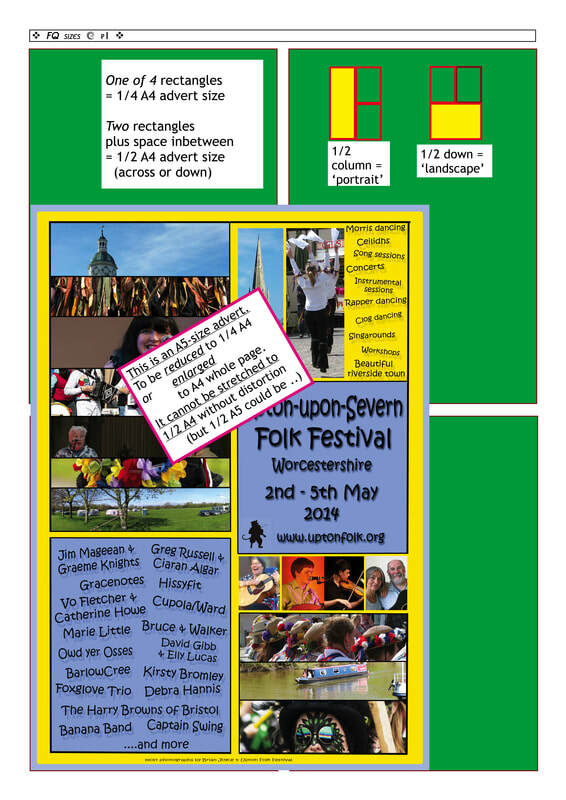 - or you can redesign it, as 2 of 4 green boxes (across or up) - see page 2, Chippenham FF advert. Or, as page 3, you can simply enlarge A5 to A4 - as last page below. We can reduce A5 to 1/4, we can enlarge A5 to A4. We cannot stretch A5 to 1/2 A4 - it would be distrorted. If you want 1/2 A4, you have to redesign the A5. The prices below relate to colour adverts.